Hufflepuffs are known for their commitment to hard work, dedication, sense of fair play and loyalty. Too often, they’re written off as the miscellaneous marshmallows. But have you seen a badger in real life? They can be vicious when the situation calls for it…they just prefer not to. 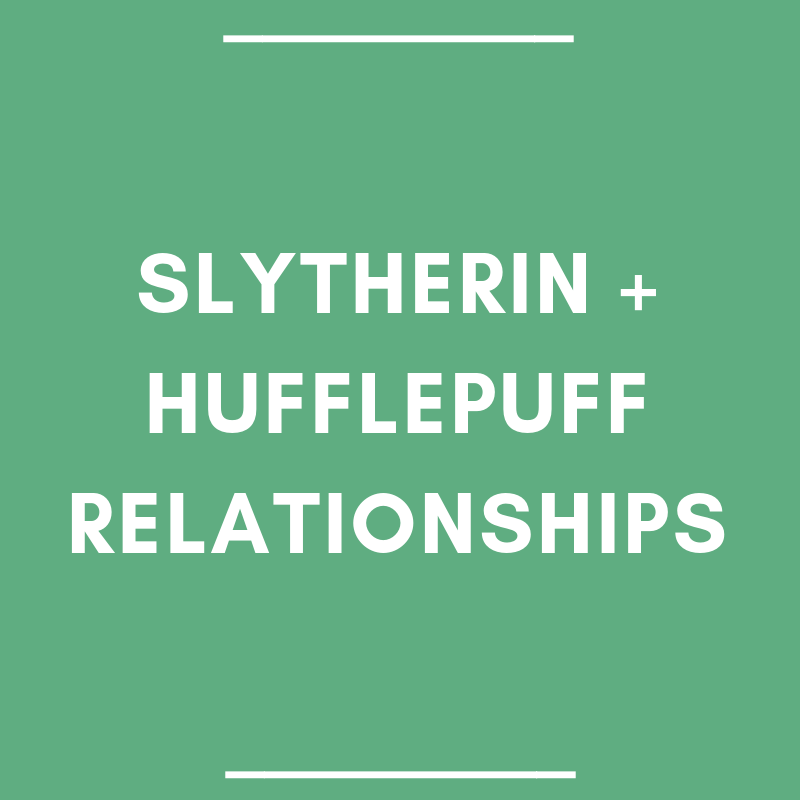 Right off the bat, we have a shared sense of loyalty in a SlytherPuff relationship. It’s really a cornerstone value for each house. They may determine who gets their loyalty in different ways, and the Slytherin, used to playing their cards closer to the chest, may take longer to offer it, but once it’s set, it’s set. Slytherins have ambition in spades, and they need a partner who is not only willing to stick by them, but one who isn’t afraid of rolling up their sleeves to get a job done. A Hufflepuff values fairness. They won’t take too kindly to being pushed around by a Slytherin (intentionally or not) and they’ll push back. First off we have Leta Lestrange, a badass Slytherin who, in classic HP fashion, is deemed “bad” by her peers and even some of her professors. Sure, her back story has a bit of death involved (no spoilers.) And no, she’s not going out of her way to make friends. She’s quick on the draw and takes no prisoners. But she stands up for herself. She does what she wants and is unashamed of who she is. Newt on the other hand is a shy student with dreams of traveling the world and becoming a magizoologist. His worst fear is working in an office. He keeps to himself, and isn’t much for eye contact (except for his scenes with Leta after he gets to know her.) But he is kind. He cares for the wounded, he tries to understand the misunderstood. He grants them sanctuary. And that’s exactly what he does as he befriends Leta. He brings her to his safe haven in the attic and shows her baby ravens. After she’s fought off other students and in tears, he takes her to the meadow to see a magical creature that he’s been coaxing out of the trees. He doesn’t pry for information, just sits with her. Believes in her and her goodness. And she believes in him. 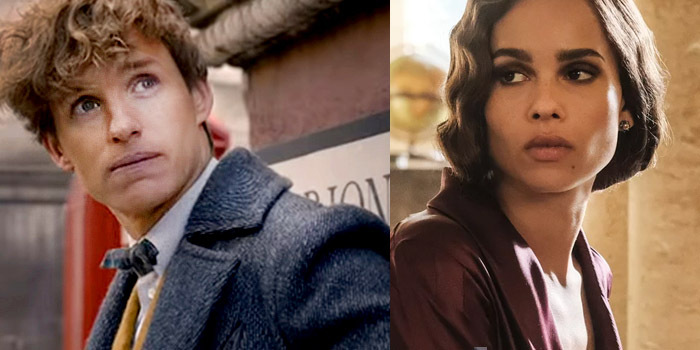 When they meet up again, Leta does not pressure Newt into joining one side of politics or the other. She knows he won’t do anything until he decides. She sees his strengths and admires them even if they are far different from her own. And she always looks him in the eye—he has her complete focus when they’re talking. HOW DARE YOU, WRITERS. HOW DARE YOU. #LetaDeservedBetter. Elizabeth is the woman with the plan. She’s cunning, strategic and good at getting her way. Captured by pirates? Parlay. Kind of enjoying this life of freedom? Go on and become the Pirate King. Elizabeth does nothing in half-measures and she doesn’t care much for the rules, often finding loopholes or bending them just enough to sneak by. She may offend others and make a fair amount of enemies, but she will always find a way to win. Will, bless him, literally does everything for Elizabeth. He’s chosen his person and that’s that. He works as a blacksmith, and though he’s of lower class than Elizabeth (or Miss Swann as he always calls her in public) he works hard to create the best swords that money can buy in Port Royale, even if he doesn’t get the credit. And he trains daily with them. He can hold his own in a fight. Plus, his entire sword fight with Captain Jack Sparrow shows how much he values fair play, finding Jack’s wily ways just a fancy form of cheating. 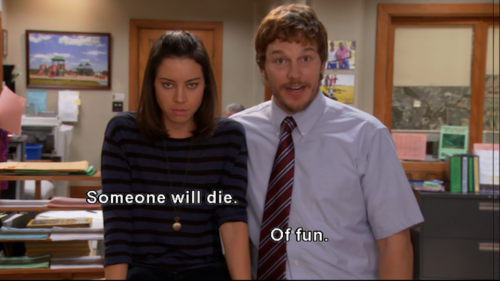 Often seen as what would happen if a cat married a dog, April and Andy remain one of the strongest relationships in the entire Parks & Rec series despite, or perhaps because, of their differences. April is savagely sarcastic, seemingly disinterested in everything, mysterious and fiercely independent. Andy is…not. He wears his heart on his sleeve, he enjoys having fun and doesn’t much care what people think of his antics. He also tries very, very hard at whatever holds his interest, whether he’s working on a prank or studying for the police entrance exam. April and Andy share a sense of loyalty not only to each other, but to the Pawnee Parks & Rec squad. Plus they have killer pranks when they team up.